New figures that show which of England’s bathing waters have met strict quality standards have been published by Defra today. The figures show that 93 per cent of England’s bathing waters met the minimum European water quality standard, with over 58 per cent meeting the tighter guideline standard following one of the wettest summers on record. A number of bathing water sites failed to meet the required standards. This is due to some waters in England remaining vulnerable to the effects of very heavy rainfall as pollution is washed from cities and rural areas into our rivers and streams. “While the majority of England’s bathing waters continue to be of a good quality, I am disappointed that a number have fallen short of the tighter standard due to the heavy rainfall we experienced during the summer. “It is crucial that we continue to work with the Environment Agency, Water Companies and stakeholders to continue to address the effect that pollution is having on bathing water quality in some areas. “Having quality bathing water and beaches is not only good for the water environment but also for tourism and local economies. Overall, the long term bathing water quality trend has improved, reflecting the major investment of an estimated £2.5bn by water companies since privatisation. 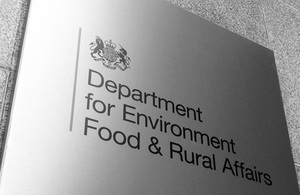 Defra and the Environment Agency are working with stakeholders to address the problems that can arise from heavy rainfall. The department is also discussing with water companies further investment to ensure that bathing water quality continues to improve. Lord Chris Smith, chairman of the Environment Agency, said: “Bathing water quality has improved significantly over the past two decades, but this year heavy rainfall over the summer has affected results. “During intense rainfall, pollution from farmland, roads, and drains is washed into?rivers and coastal areas. Water companies also operate Combined Sewage Overflows to prevent sewage from backing up and flooding people’s homes. Bathing water results for Scotland, Wales and Northern Ireland are published by the Scottish Government, the Welsh Government and the Department of Environment Northern Ireland respectively. The results for Scotland were published on 17 September, and for Northern Ireland were on 4 October. The results for Wales will be published on 6 November. Results are also available on the websites of the Environment Agency (for England and Wales), Scottish Environment Protection Agency and the Northern Ireland Environment Agency. Any questions relating to bathing water compliance should be directed to the relevant organisation. We expect the European Commission will publish the 2012 bathing water results for all EU Member States on its website in May/June 2013.